Casa de Avila i Arequipa, Peru: Reservér nu! Vacation Group, Church Missions, NGO, Good Will organizations, any tourist group interested in Peru, Arequipa and Colca Canyon. Study groups. 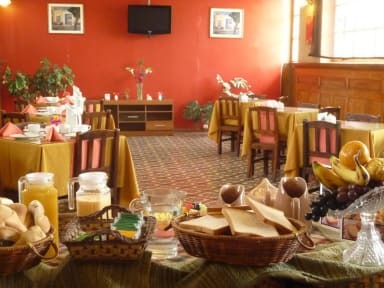 Casa de Avila, a beautiful, yet affordable hotel, offers warm traditional hospitality in Arequipa. It's a vintage building with a warm environment. 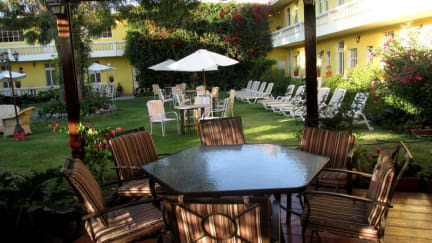 All the rooms are private ensuites, around the courtyard garden. In the morning, a buffet-style breakfast featuring local and fresh ingredients (fruits, eggs, etc) will be served in the garden.